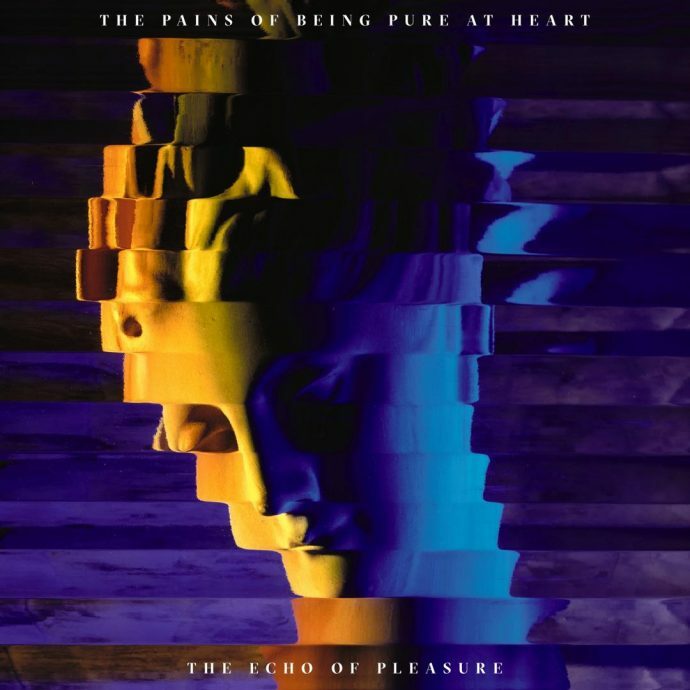 Kip Berman’s band The Pains of Being Pure of Heart long name evokes a belief that one is about to invest in emotionally driven songs that deal with the difficulties that come along with being true to your feelings and that is just what he delivers. Berman’s moniker has been in circulation for a decade now making The Echo of Pleasure as his fourth full-length album. Most of the songs have an upbeat, fast pace beat with a sprinkling of the atmospheric, dreamy, and introspective music we refer to as shoegazing. I suppose these songs can be described as ADHD shoegazing actually and songs such as “The Garret”, “When I Dance With You”, “The Cure For Death”. There is actually only one slow ballad-type tune; “Stay” where you can catch your breath in between and go back to being pensive but it doesn’t come until the very end of the album. There are apparent eighties influences with synth such as in the title track and occasional horns as can be heard in “Falling Apart So Slow” that bring to mind The Psychedelic Fur’s “Heartbreak Beat” – actually, it’s the bands modern take to that very tune. The best song is “So True” with clear vocals, repeated phrases that help you engage with the songs message, and the forward pulsing beat that is perfect for the moment in the teen movie when the hero realises what they must do in order to be true to themselves. The base drum is a prominent sound along with fuzzy guitar to guide you as you fall in line with the beat and take steps towards living truthfully for yourself too. So yes, all these songs sound familiar – whether they remind you of a moment in a John Hughes movie or a snapshot in your own adolescence/early adulthood. There are no qualities I can find that stand out as unique and it is safe to say that every song sounds like the one before it, which is probably why there are only nine tracks in all to throw you off the scent. The overall feeling throughout the The Echo of Pleasure reminds me of the Peanuts gang dancing in place, content with the fact being here, now is what happiness is. Mostly The Pains of Being Pure of Heart sounds like a garage band that has light hearts and simple pop sensibilities. If you want to feel good with mellowed out pop-rock that is slightly danceable, The Echo of Pleasure is for you. If you need something even slightly deeper – well then you are probably looking to find the real pain in the pure of heart but it’s not here.